A mysterious particle created in a blazing fireball at an atom smasher is misbehaving, a new experiment shows. 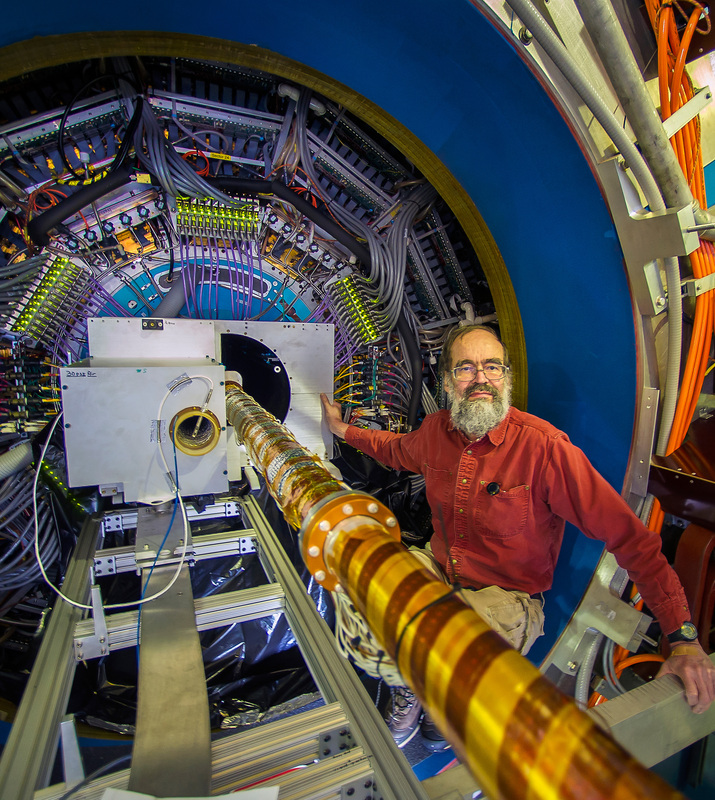 The surprising charm-quark behavior was first spotted at Brookhaven National Laboratory's Relativistic Heavy Ion Collider (RHIC) in Upton, New York, which aims to recreate conditions in the trillionths of a second after the Big Bang. The key to the new observation is the Heavy Flavor Tracker (HFT), a set of recently installed ultrasensitive photodetectors similar to those in digital cameras. Using the HFT, for the first time, researchers directly measured the behavior of charm quarks as they emerged from the trillion-degree fireball meant to recreate the universe's first moments. To recreate these primeval conditions, the RHIC fires gold atoms at one another at nearly the speed of light. As they collide, the atoms break up into a soup of elementary, free-flowing particles known as a quark-gluon plasma. Quarks make up more familiar particles, like protons and neutrons, while gluons are the carriers of the strong nuclear force that holds the quarks together. The measurements tell the physicists whether their models of fields that bind together quarks and gluons, based on a theory called quantum chromodynamics, are correct, according to a new study detailing the findings. "You can study how nuclear medium behaves and functions at these high temperatures," Brookhaven National Laboratory physicist Flemming Videbaek, a coauthor of the study, told Live Science. Albert Einstein's famous E = mc2 equation says energy and mass are the same thing, and when the atomic nuclei collide in the RHIC, the energy is so great that it creates heavier, exotic particles, such as charm quarks. One of the particles formed by this fiery collision is the D-zero, made up of a charm quark and an anti-up quark. The D-zeros travel for a fraction of a millimeter before they decay and become two other particles: kaons and pions. It's the kaons and pions that the experimenters actually "see" with the HFT. What surprised the researchers was that the flow of quark-gluon plasma caught the heavy D-zero particles. The football-shaped fireball emitted more D-zeros from the wider part than from the ends, rather than in an evenly distributed way. Previous models predicted that the D-zero, which contains the heavy charm quark, was too massive to interact with the quarks and gluons in the plasma. According to those models, its mass would mean the D-zero barreled out too quickly, before the plasma's forces could act on it, and the plasma would not last long enough to produce much interaction. Instead, the quark-gluon plasma has a low viscosity; if it were a fluid, it would flow freely, Videbaek said. "The fact that it has a low viscosity means that it interacts [with the particles] quite a bit," Videbaek said. That means "some of the models were quite far off." In addition to helping scientists refine their models, the charm quarks revealed more details about how the quark-gluon plasma behaves. Knowing more about what such plasmas actually do helps scientists understand what to look for if they seek out new physical laws, and helps them understand the implications of the ones they know already. In future experiments, the team hopes to gain insight into the behavior of other heavy and rare particles made up of quarks, such as the B (or "beauty") meson, which is made of a bottom quark and one of its lighter cousins, Videbaek said. The study was published May 26 in the journal Physical Review Letters.